Posted On January 09, 2016 by Team iCynosure. Tomorrow is the stepping stone, an opportunity to begin something that will awaken me to be more mindful, more attentive and more alert about myself. Yes I say tomorrow as all the adrenaline of the New Year Resolutions have died down and after a good 8-10 days, you can be sure what you want to be doing. For me there can not be any more excuses about time, chance or methods will be valid after being introduced to the Yogi Box. 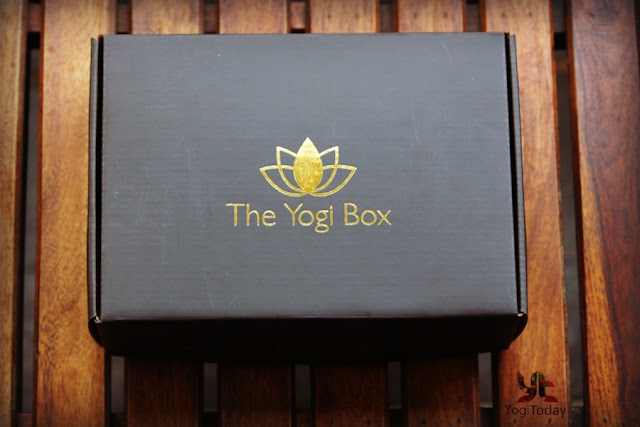 Being one of the five bloggers invited to the launch of the Yogi Box by entrepreneur Prerna Sinha, a friend and co-blogger, has set me off on a journey in pursuit of wellness. The program has been conceptualised and founded by Prerna Sinha, Shilpa D'Souza and Ruchi Kapoor and promises a well thought out fitness and wellness regime. As a fitness enthusiast, I’ve been inspired by Prerna to take those small steps in my journey to a more fit me. At the meet aptly held at the Yoga House in Bandra, I was introduced to a bunch of like-minded women who discussed wellbeing and fitness and how even in today’s hectic schedules traditional Yoga fits in to bring one back to the roots and sets one on the path of calmness and self-realisation. A very brief yoga session with Ruchi Kapoor, an Ashtanga teacher introduced me to a deep seeded but highly ignored aspect of self-awareness and understanding. A highly charged positive environment was followed by a Satvik lunch which included superfood like quinoa upma, summer salads, green boost juice, pink juice, zucchini tikkis and to conclude lunch 'The Yogi Tea’ was served in earthen pots. 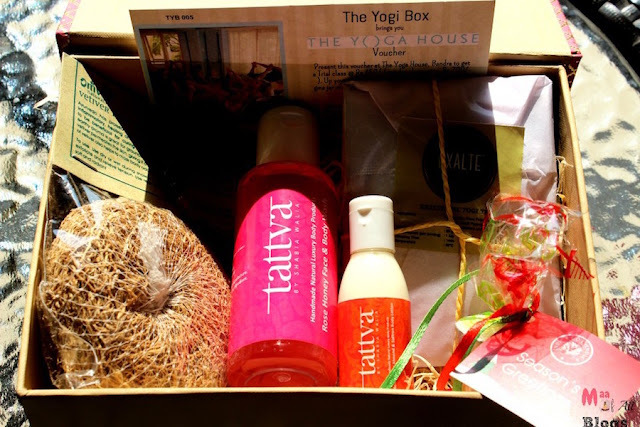 Looking forward to the Yogi Box; its launch was the highlight of the event as we were introduced to the monthly subscription box conceptualised with the single most thought of motivating people to embark on the pursuit of wellness through tradition and natural means. With 5-7 full or sample sized products by brands that are into organic and wellness space, the Yogi Starter Kit pushes people to take their fitness ideologies off their mats and incorporate routines in their daily lives. ~ The YogiToday bracelets - The chakra bracelets are sourced from the city of Ashtanga yoga, Mysore made of authentic stones and chakra colours. ~ The Yogi Tea - An ayurvedic tea with its spicy character and aromatic flavour is both an inspiring and relaxing experience. ~ The OmVed Vetiver Bath Scrub - Perfect with the body wash and has an identity of its own with its aroma. You just have to open the pack and smell it to know what we mean. The Yogi Box currently priced at INR 599 is ideal for gifting and giveaways. However, the founders are also open to customisation as per the sensibilities and budget of clients. So with YogiToday; Care - Curate - Connect! As I was to leave, a wave of purification swept through me making me feel more holistic than I’ve left in a long time. Congratulations to being one of the few invited. It must have been a huge honor. Looks like a great way to start the year. :-) Keep up the good work! That's really interesting. I think it's great that people are promoting health and wellness. Thanks for sharing your experience!